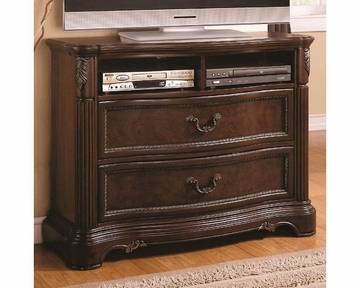 Bring an element of fun and entertainment into your bedroom with this classic media chest. 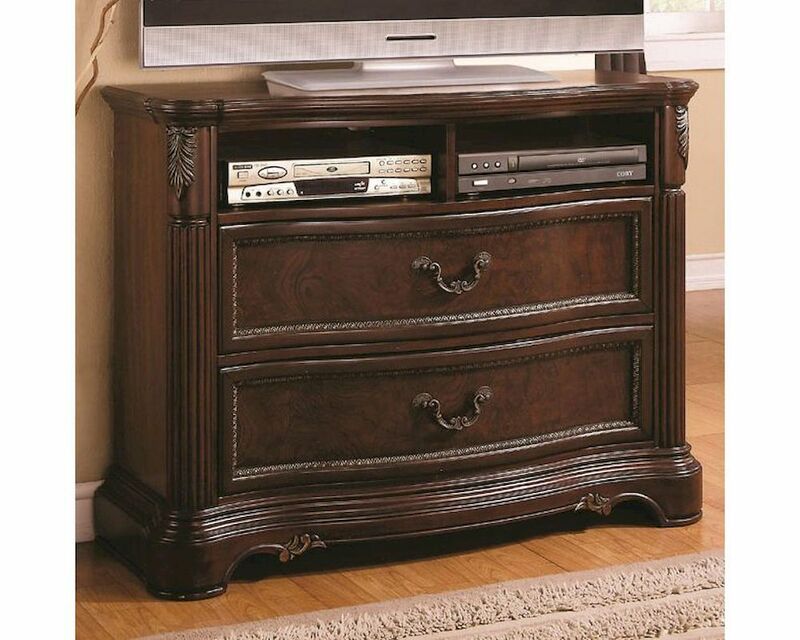 The top surface provides a large, sturdy home for your television while the two compartments provide the space to store a DVD player or cable box. Two drawers beneath the compartments can provide storage for DVDs , remotes, other electronics or anything else you may need to store in your bedroom. 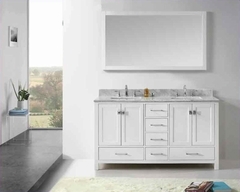 Details such as the fluting down the sides of the chest and the slight curve to the front of the piece add sophistication to this media chest.